According to Government Security News earlier this year Senator Charles Schumer (D-NY) announced that a phone hacking ring with ties to Al Qaeda-related groups in the Philippines and Somalia were targeting small business, Voice over Internet Protocol (VoIP) users in New York. He alleges the group was stealing hundreds of thousands of dollars of overseas long distance calls. Toll fraud is not new. But, it is increasing in popularity as more professionals convert to business VoIP services. 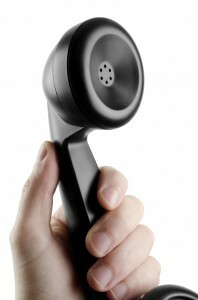 VoIP is an attractive business solution because of its affordability and features. In November of 2012 the University of Texas at Austin posted this bulletin about toll fraud. In it they claim toll fraud exceeds $1 billion each year in the United States and that figure is climbing. Just 10 days ago the non-profit organization NeighborWorks in Columbus, Ga. lost more than $70,000 in a toll fraud scam. According to ABC affiliate, WTVM, an unidentified male socially engineered the scam by calling the non-profit’s telephone provider and posing as an employee. The organization’s CEO, Cathy Williams, says they knew something was wrong when they weren’t getting any incoming phone calls. The non-profit’s phone lines were hijacked on a Thursday. The situation wasn’t corrected until the following Monday. There are several ways a hacker can gain entry to your phone system. You just read about one above, social engineering. Hackers can also gain entry by guessing someone’s password. There are ways to tell if you’re a victim of toll fraud. Your long distance and/or local telephone company may contact you, phone lines may show they’re in use when they are not, and unfortunately, you may not find out until you get your phone bill. You can easily protect your VoIP system with a few basic, common sense steps. TDS Telecom, the seventh largest local exchange telephone company in the U.S. and managedIP Hosted provider, suggests changing your password frequently, avoiding obvious passwords like 1234 and if possible blocking international calls on your phone system. Those are just some of the tips TDS offers. Get more security tips. Learn more about TDS’ managedIP Hosted service.